In this tutorial, I will guide you all how to convert a folder in a GIT repository into a new GIT repository. Here, I use Git on Windows. 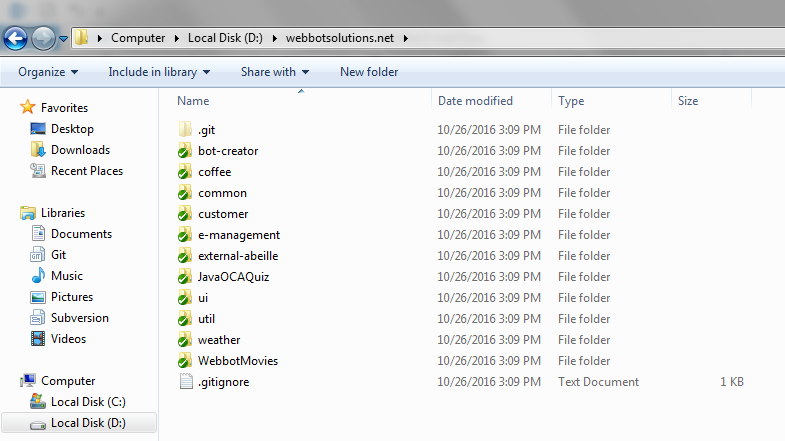 Now, my need is to separate the coffee project directory into a new repository. So how do I do? 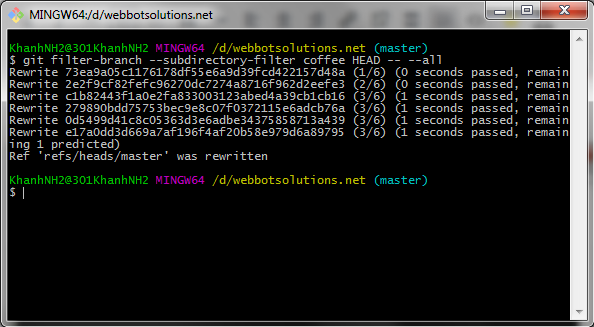 First, open Git Bash and navigate to the directory of the repository. <folder_name> is the name of the project directory that you want to migrate to a new GIT repository, to remove all existing folders in current GIT repository. The current repository is just a local GIT repository, if you want to include it in the remote GIT repository, please refer to this tutorial.